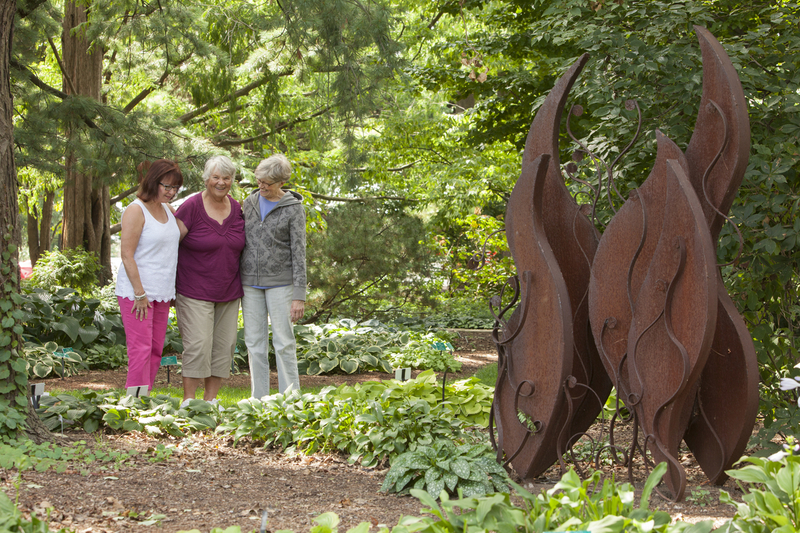 Art is featured throughout our gardens as well the greater Ohio State University campus. We are fortunate to have many wonderful local and international artists represented. The Ohio State University Arts and Memorials Committee in consultation with the Chadwick Arboretum felt the Lane Avenue Gardens would be the ideal spot to merge the worlds of art, nature, and science. The Lane Avenue Gardens is one of many gateways that welcomes students, visitors, and community members to the campus. This inspiring new artwork will bring a new-found attention to these important learning gardens. 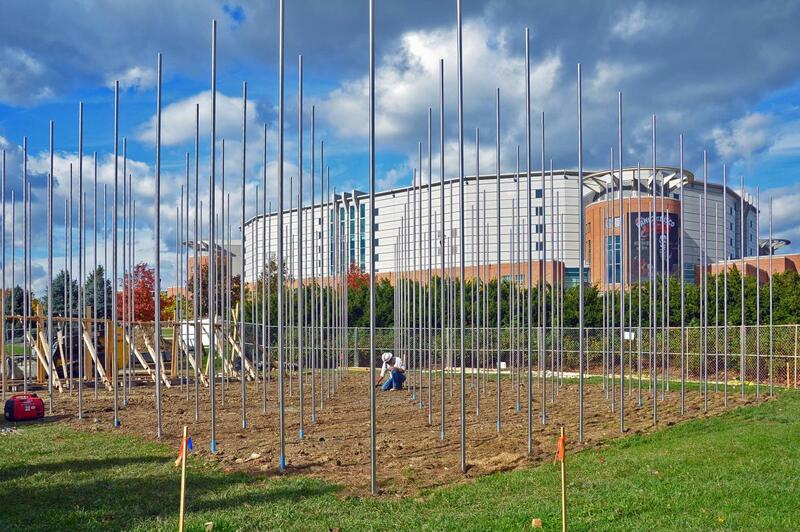 About the Sculpture Shelter comprised of 144 brushed stainless steel pipes in a 12 x 12 grid in the circular pathway at the corner of Lane Avenue and Olentangy River Road invites viewers to explore and experience the work through a specific corporeal sense of space. 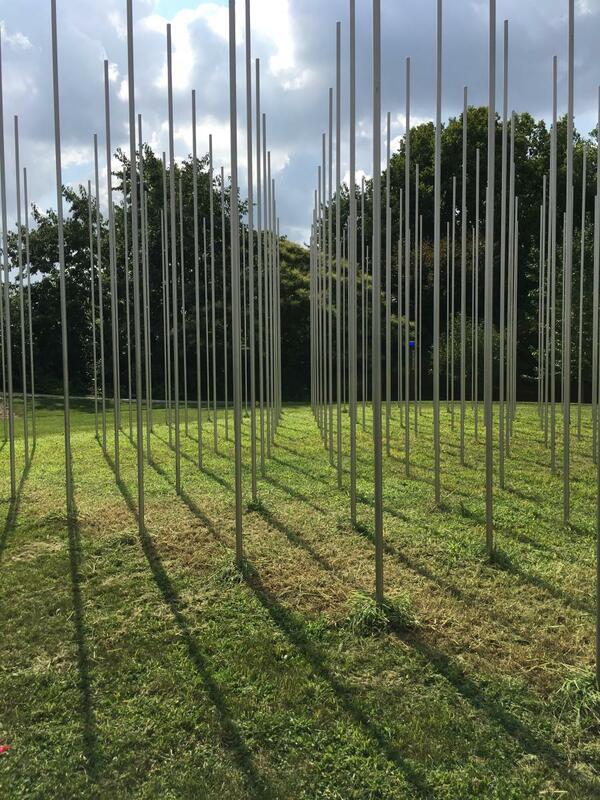 An important part of the installation being the surrounding environment created by the gently moving rods which cast complex, slowly evolving shadow patterns on the ground. About the Artist Erwin Redl is an Austrian-born artist with studios in Bowling Green, Ohio and New York City. In 1993, after his studies at the Vienna Music Academy, he was awarded a Fulbright Scholarship for computer art studies at School of Visual Arts, New York, (MFA 1995). He lived in New York from 1993-2007 and moved to rural Ohio in 2007. Mr. Redl was featured as part of the 2002 Whitney Biennial, when he covered the museum’s facade with LED veils. He created a sound and light installation for the Austrian Pavilion at the World Expo in Zaragoza, Spain (2008). The Pacific Design Center’s Red Building in Los Angeles features four installations by the artist (2013). His largest work is a 590 ft. long outdoor LEDinstallation at the Wexner Center in Columbus, Ohio (2010). The artist’s work is collected by prominent institutions, such as the Whitney Museum New York, the Museum of Contemporary Art San Diego, the Milwaukee Art Museum and Borusan Contemporary Istanbul as well as by many private collectors. How Was This Installation Funded The installation was funded through the Ohio Percent for Art program. Project Partners The Ohio State University and the Ohio Arts Council. 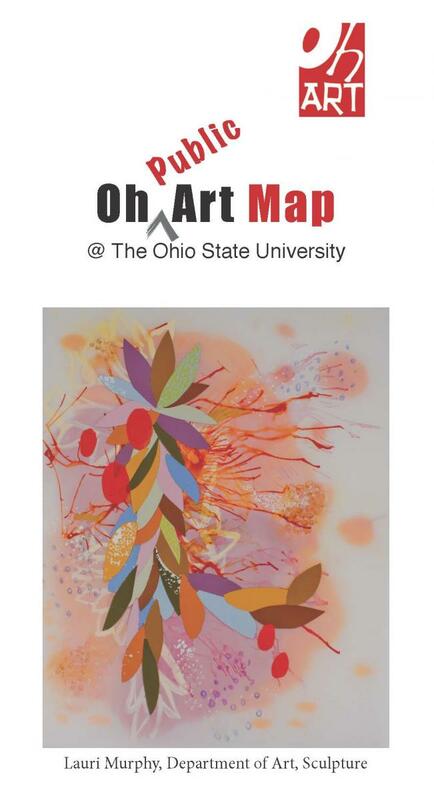 The Public Art on Campus brochure provides the location of art within Chadwick Arboretum & Learning Gardens as well as art throughout the greater Ohio State University campus. 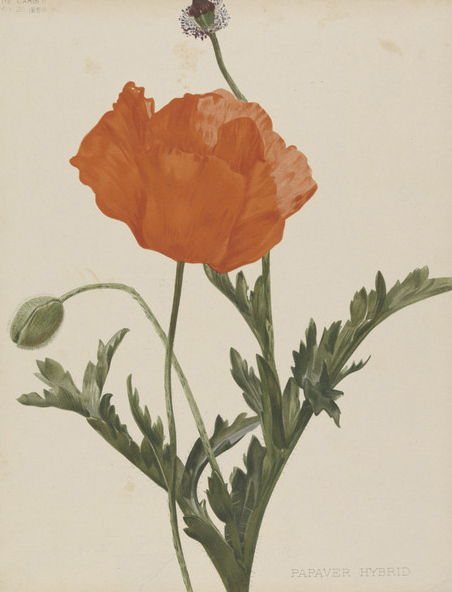 We are also proud to offer an electronic view of our vast collection of botanical prints donated by Emanuel Rudolph. Be sure to visit the Emanuel Rudolph page to learn how to view these priceless illustrations.